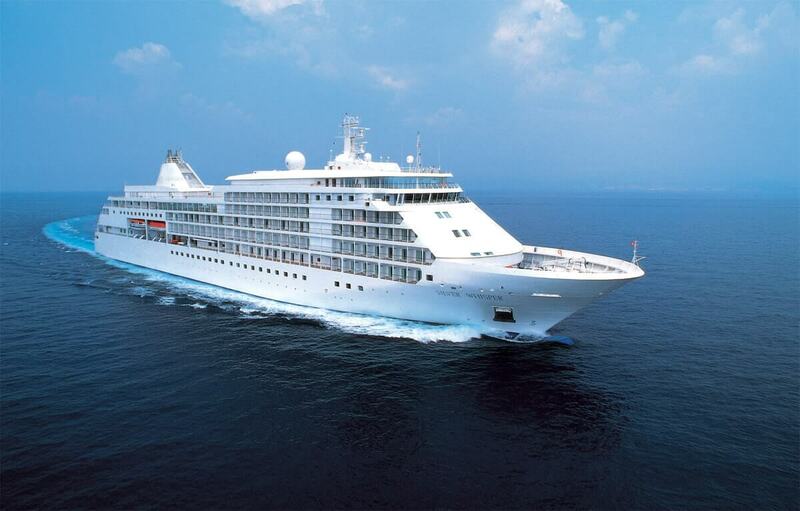 In April Diana and I had the opportunity to cruise on Silversea’s Silver Whisper. I have not included photos as the ship is going in for a major refit and updating this December. While we have several charters operating on this ship in the coming months, it was also an itinerary that covered some of the more popular ports of call for Asia based cruises that we needed to get to know. This segment was part of the Whisper’s 4 month World Cruise, more about that later. The itinerary started in Singapore then headed to Port Klang for Kuala Lumpur Malaysia, Penang Malaysia, Phuket Thailand, Colombo Sri Lanka, Cochin India, Mumbai (ex Bombay) India, and ending in Muscat Oman. This is the only time in recent memory that either Diana or I had not been to ANY of the ports of call. There were many overnight calls which you really needed in several of these ports. Just several comments about the ports and the experience and then on to the star of the show, the Silver Whisper. While we had been to Singapore before by land departing on the ship was a far different experience. It takes around 2 hours to get out of the busiest port I have ever seen, just amazing. In Port Klang we took a tour to a local person’s house for tea and snacks, it was truly a great experience. Colombo, Sri Lanka we went outside of the city the first day to go to a tea plantation (Ceylon Tea) going back to Diana’s roots. Second day we explored the city, this is a happening place we will definitely be going back for more. Cochin, my personal opinion don’t bother to get off the ship. Mumbai was totally fascinating! The biggest surprise was Muscat, Oman. It is the cleanest city I we have ever been in, super friendly people, no buildings over 7 stories, all in traditional Arab design (think a very big Santorini). We departed from the airport in Muscat which is brand new and had as main entrances Economy Class entrance and First and Business Class entrance which is directly connect to entire second story lounge. All in all a very amazing cruise and if you have the clients with a budget for Asia I can happily recommend numerous options I have now been to in the area including China, Vietnam and Hong Kong. It is a very eye opening experience especially from a business perspective. Your clients will thank you, and just visiting Hong Kong or Singapore doesn’t cut it. Now about the Silver Whisper. She is an all-suite ship with a capacity of 382 and 302 crew. The vast majority of suites are 345 sq. ft. with a 60 sq. ft. balcony with ample room for full room service breakfasts. All of the suites have marble bathrooms with tub and separate shower and double sinks, walk-in closets, fully stocked mini with your choice of beverages, safe, large flat screen interactive TV, fresh fruit and flowers, robes and slippers, and a very complete amenity kit. Every suite also comes with a butler, ours was fantastic. This was possibly the best service in a hotel or on a ship we have ever experienced. Cruising on Silversea is always a 5 star experience, we were met by Silversea staff at the taxi drop off where our luggage was tagged and taken away. A staff member took our hand luggage and escorted us to a check-in desk where our IDs where confirmed, photo taken and key cards issued and then taken aboard the ship for the first of many glasses of champagne. Our hand luggage was then given to our butler who escorted us to the suite. While all this is going on our luggage arrives and our butler excuses himself and returns shortly with champagne in an ice bucket with 2 chilled glass which he proceeds to pour for us. He then asks what sort of beverages, wines, or other beverages we wish restocked daily. Cookies every night please, no problem! This is how the service went all week in our suite. Helpful tip, if you let your Butler unpack you he also knows where to put your laundry when it comes back. Food and dining on the Whisper is to the highest standards. For breakfast you have two choices the La Terrazza which does double duty as a buffet restaurant for breakfast or lunch and then a limited seating Italian dining venue at night. The restaurant also does breakfast and some lunches as well as being the main dining room at night. Hot Rocks takes over the day pool bar grill location nightly to offer a selection of fine meats and seafood that you can cook on “Hot Rocks”, a lot of fun and can be taken over for groups as can La Terrazza for group dining in the evenings. Last but not least is the La Dame which is the only Relais and Chateau restaurant at sea. While this restaurant carries an up charge it is well worth it. Whatever restaurant you’re dining at you can be assure of great fresh food, good selection and fine service. On this particular cruise menus change to fit the destinations we were in with some very interesting choices. Of course one of the secrets to fine dining is having the best ingredients for each course which Silversea does. Once again about the service on the ship, simply amazing. Diana was recuperating from shoulder surgery at the time of our trip. This meant she was unable to get her arm level with any dinner table and could not cut her food. By day 2 the waiters would take away any buffet item or ala carte serving and cut up whatever was needed in any restaurant. It was the small things like this that showed the true attention to detail and just made our experience truly amazing. Entertainment on the ship was very surprising, with over 100 passengers sailing the ship for the entire world cruise you have some very highly traveled and wealthy people. I would have thought the attendance at the evening shows, best called events, would be small and the show boring to very amateur. Wrong on all counts, it seemed every evening we ALL were there and enjoying every minute of it. The Cruise Director started each show with the typical daily comments and then pointing YOU out by name for some activity you had done during the day, once again showing that personalized touch. Amazing and the shows were actually pretty good. I never even snuck out the back door, for those who know me. There were acts that would come aboard from the various ports. A very good magician that got on and off. The person that commanded the best audience every time was the port lecturer. This husband and wife team did the entire itinerary prior to our cruise and knew those great tips and insider details that we all want. The pictures, map and details were just great and one of them was on several of our shore tours while a Silversea representative was on every tour to insure Silversea quality from cold towels to cold drinks and a friendly smile. Needless to say we were impressed with the Cruise Director and Hotel Manager. They intimately know the ports and the guests which are big time repeaters. The crew is pretty much handpicked and are extremely good. The passengers are some of the nicest I have cruised with and 55 to 65 the biggest age group. In summary the Silversea experience is truly one of the best, if not the best cruises you will ever take. What makes it even better? They know how to service the MICE market. Your clients are going to love it. This report was prepared by Steve Bloss[954 452 8800 | sbloss@www.cruiseco.com] on July 15, 2018. The views expressed as solely those of the author and not necessarily those of WWTCA.